AP PHOTO • San Francisco 49ers quarterback C.J. Beathard (3) fumbles as he is hit by Dallas Cowboys defensive end Demarcus Lawrence during the first half of Sunday’s NFL game in Santa Clara, Calif.
SANTA CLARA, Calif. — C.J. Beathard got a rude welcome in his first start in the NFL. 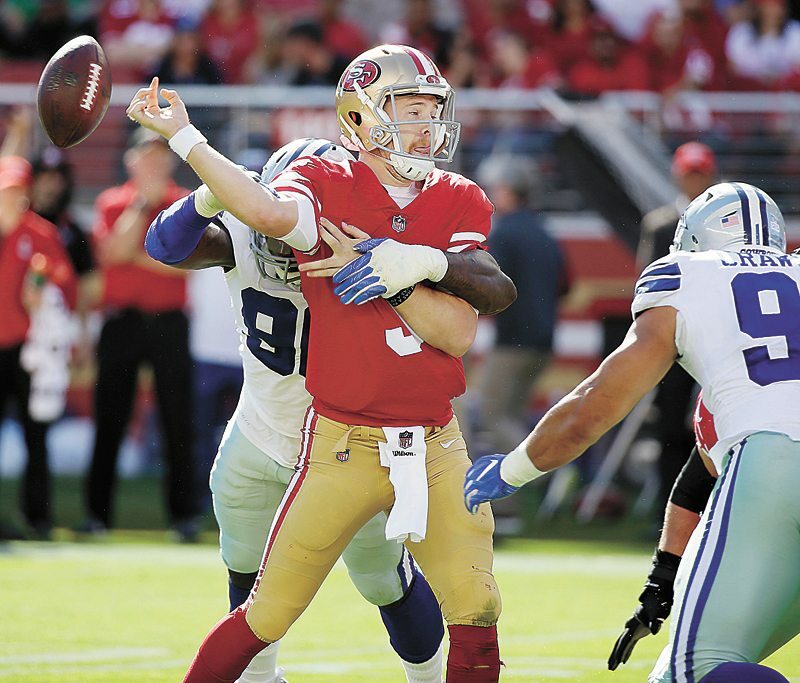 Beathard was battered all game by the blitzing Dallas Cowboys, getting sacked five times and knocked down several more in a 40-10 loss Sunday that was the most lopsided home defeat for the San Francisco 49ers in eight years. The 49ers (0-7) turned to Beathard after the team had opened the season with six straight losses under veteran Brian Hoyer, including the last five by three or fewer points. Beathard, a third-round pick out of Iowa, had fared well in relief last week in Washington when he nearly led a comeback from 17 points down but wasn’t nearly as effective against the Cowboys. He played from behind all game as a fumbled punt return by Trent Taylor put San Francisco in a 7-0 deficit before Beathard took his first snap. The 49ers spent the entire game chasing he Cowboys, falling behind 40-3 early in the fourth quarter before Beathard scored on a TD run with just over six minutes remaining. 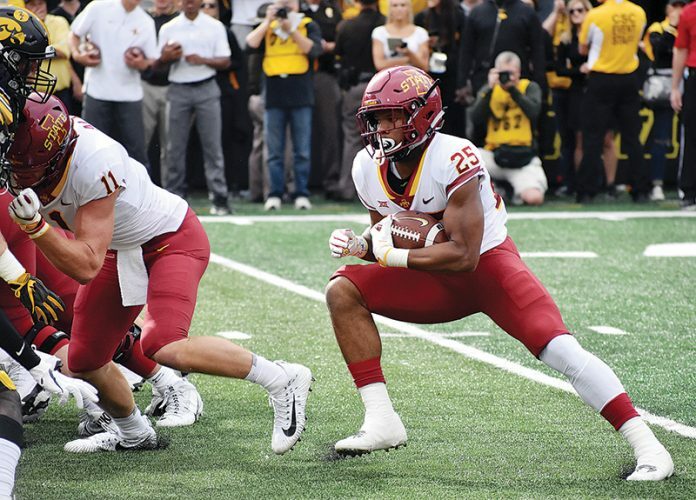 Beathard finished 22 for 38 for 235 yards. He lost a pair of fumbles on sacks and was hit six other times as the Cowboys continually tested him with pressure packages. The first fumble proved crucial because the Niners were still in the game. Trailing 20-3, San Francisco had driven to the Dallas 5 late in the first half and was in position to get into the end zone when Marquise Goodwin broke open. But DeMarcus Lawrence beat left tackle Joe Staley around the edge and forced a fumble on Beathard that he recovered. That’s the way things have gone so far this season for the rebuilding 49ers, who are off to their worst start since also losing the first seven games in Bill Walsh’s first season as coach in 1979. After the missed opportunity to end the first half, the game really got out of reach early in the second half. Shanahan opted to go for it on fourth-and-4 from the Dallas 28 on the opening drive only to have Beathard throw an incompletion to Kendrick Bourne. Ezekiel Elliott then took a screen pass 72 yards for a score on the next play to make it 27-3 and set the stage for the blowout.